This is the first image of a small project I've recently done using the title pages of various books. They're the largest pieces that I've ever done and are closer to the A5 limit of skav art rather than the A6 size which I'm more comfortable working with. Blasphemy is the theme which ties them all together. As you can see, this one depicts an individual vomiting over the page. 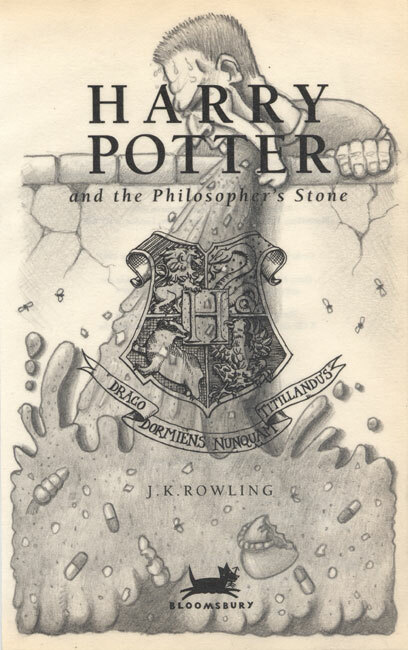 The reason why I chose this particular book's title page was because the story tells of how a young boy is destined from birth to be a wizard. He lives an oppressed life in the real world at the hands of his abusive relatives until his life is changed when he's introduced to the secret fantasy world of magic which has it's own unusual culture, people and education system, and one which uses the term "muggles" to describe those that aren't like them.